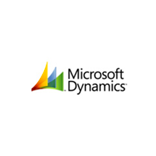 Your Microsoft Dynamics ERP is an indispensable tool in your organization’s financial strategy, from coordinating myriad accounting processes to ensuring compliance, tracking the bottom line to reporting to stakeholders. Yet while critical to back office finance management, your Microsoft Dynamics ERP can’t do it all. The BlackLine Finance Controls and Automation cloud platform is built to complement your ERP. You partnered with Microsoft Dynamics for many reasons, including the opportunity to save time managing your financials. But if you’re relying on spreadsheets and other manual tools to track and aggregate reconciliation data, you’re still wasting valuable accountant hours, not to mention increasing your risk of errors. Automation reduces errors and increases productivity at the same time. When integrated with Microsoft Dynamics, the BlackLine Enhanced Finance Controls and Automation platform automates your close process. Data is seamlessly imported from Microsoft Dynamics to BlackLine, where thousands of transactions are matched in minutes and up to 80% or more of accounts are auto-certified. Practitioners who use Microsoft Dynamics and BlackLine together not only free their accounting teams from these mundane, transactional processes—empowering them to focus more on high-value analysis—but they also see significantly reduced costs in printing, production, and storage of supporting documents. Companies using BlackLine also see additional cost savings directly via users. BlackLine’s free training, via BlackLine U, ensures employees get up to speed faster and are more productive in less time. As BlackLine implementation and ongoing management requires very little IT intervention, IT staff are free to work on more important, value-add work. A lack of visibility and transparency into core financial and accounting processes, the financial close in particular, leaves room for tremendous uncertainty. This lack of confidence delays business decisions and, worse, leaves organizations vulnerable to misstatements and increased scrutiny and regulation. It’s even worse if your current financial close solution is located on premise. Software that isn’t cloud-based severely limits access, detrimental in a global economy. Because a global economy also requires a global workforce, your employees and auditors must have real-time, non-location-specific access to accounting data and analytics. By integrating BlackLine with Microsoft Dynamics, CFOs and controllers gain real-time visibility into financial data and high-risk items—at any time, from anywhere in the world. BlackLine delivers embedded analytics, dashboards, and configurable reports designed to help users identify discrepancies faster. Leaders can rapidly make smarter decisions, saving time and resources while also instilling confidence in the market and among financial analysts. Some software providers claim a cloud platform when in reality they have built a Franken-suite, a patchwork of different applications, some built in-house and some acquired. Simply skinning an application under one user interface does not a unified cloud make. BlackLine is built on a single code base with functionality integrated across products and an increased ROI platform. BlackLine is the only unified cloud platform among Enhanced Finance Close and Automation solutions. This means each BlackLine solution—from Account Reconciliations to Task Management to the newly launched BlackLine Insights—was developed organically in-house. Why you should worry about unification? In short, because it’s the key to ensuring BlackLine integrates with Microsoft Dynamics and any other ERPs seamlessly. The BlackLine unified cloud means one reporting engine across all products, intuitive familiarity for end users and administrators, and efficiency gains through native cross-product integration. It’s also important to note that a single platform means a better end-user experience and thus higher adoption rates within the organization—and a increased ROI on their technology investment. Unification is also crucial to keeping data safe and accessible: the BlackLine platform is a private cloud—no third-party hosting—to ensure continuous security, uptime, and hot disaster recovery. In fact, BlackLine is so confident and proud of its cloud infrastructure, Trust.BlackLine.com publicly displays the live uptime and performance statistics for the platform. Financial information is not for public consumption, and BlackLine takes security seriously. Through continual penetration testing that includes weekly vulnerability scans and annual tests by third parties, BlackLine ensures the continual integrity of client financial information. This ISO 27001 Certified Platform also has earned certifications in SSAE16, SOC2 Type II, and SOC3. Coupled with top tier data centers, BlackLine is trusted by organizations in every industry, including those for whom data integrity is a matter of national security, such as government defense contractors. From the beginning, BlackLine was driven by customer needs. The very first incarnation of the account reconciliation product was launched when a customer described how difficult it was to track who owned what reconciliations in a spreadsheet. BlackLine’s commitment to its clients and their users persists to this day. From the always accessible learning management system, BlackLine U, to our 24/7/365 customer support, it is an organizational imperative to not only get users up and running quickly but to ensure access to resources within BlackLine around the clock. Input from client organizations filters through a community of users, providing feedback that directly informs and drives the future of the solution.